Parents can make their child’s Christmas costumes just at their home during the holidays. Christmas is a big festival for christens and it is coming up fast and you have to make a preparation for the simple Christmas costume for your son or daughter just at home. A type of costume you may select will basically depend on whether you are a Santa Claus or celebrating the religious holiday. Nativity costumes – It is really very simpler and easier to make the Christmas costume for the nativity play. 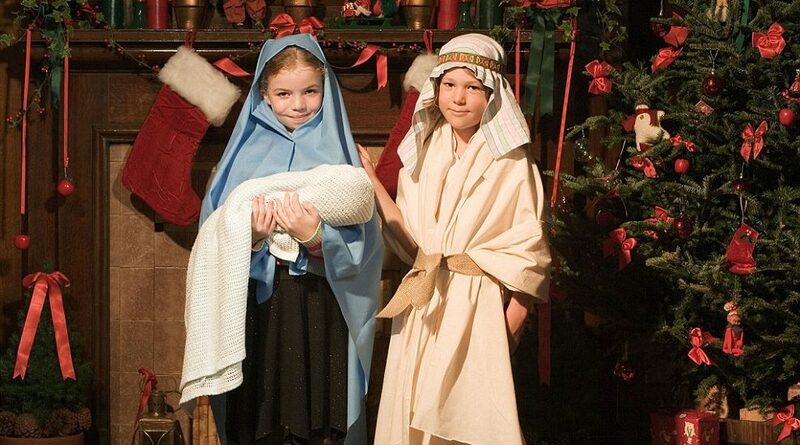 Joseph & Mary, Shepherds and Baby Jesus are the easiest costumes to try at your house. Angels – When it comes to the angel costume, it can be completely dramatic so it is very simpler to make. Wings are not actually necessary and instead your daughter can wear the halos around the forehead or you should be suspended above it. In order to make the angel dress, first you have to collect the required materials such as two large pieces of cardboard, white dress or night gown, pencil, glue, scissors, white feathers, wire, and long elastic casing or elastic material. If you are looking for making the DIY Christmas costume, you can try all these things in a better way. Baby Jesus – It is really very simpler costume which is just the off-white blanket or square white blanket. While laying down this blanket, you have to fold all the top corners and put it in the diamond shape. Then, you can put down a baby to show the baby Jesus. Joseph – For the Joseph costume, you need solid colored robe, rope, off white piece of fabric or pillow case, leather sandals and also the large elastic headband in the white, black or tan color. Mary – To make a costume for the Mary character, you need white or light white robe, blue night gown, large elastic headband and light blu or white pillow case or cloth in the square shape. 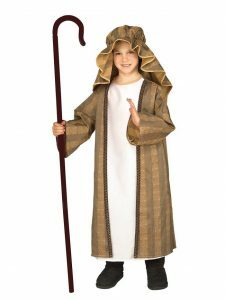 Shepherds – This costume is just like the Joseph’s costume but additionally there is a shepherds crook or staff.